The Wi-Fi Enclosed MLT-42 Inspection Robot with Tablet Controller is an easy to use robot for going into tight spaces with low ceiling height. It has a full pan and tilt camera with 27X optical zoom. Controlled wireless with a tablet as video is displayed in brilliant color. 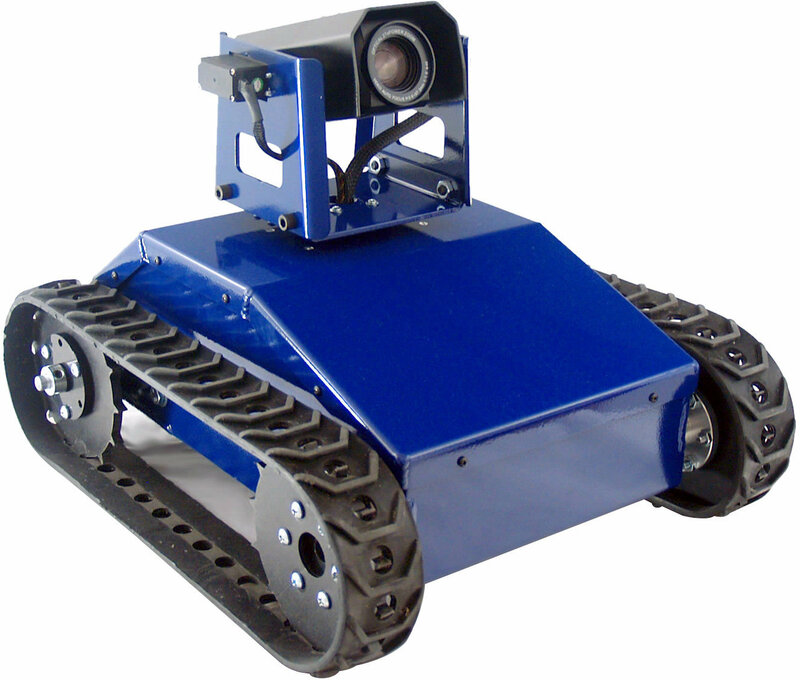 The mobile Wi-Fi All Terrain Enclosed Robot (TP-631-000), is programmed and fully assembled complete with a tablet. The tablet and robot talk back and forth through a high power Wi-Fi radio that is fully configured and ready to go (you do not need to connect it to your network, it forms its own network. You do NOT need a router, etc. This robot package is completed, nothing else is needed!). This is a special order item. We will order it for you as soon as you place your order. Our normal availability for most products is 1 to 3 months. Contact us if you would like to know a more precise time for this service.